Technology development is progressing faster than ever. Cloud computing, big-data, autonomous systems, sophisticated cyber attacks, mobile computing, and the "Internet of Things" has created a complex computing environment. Many organizations do not have the IT knowledge or experience to harness the power of these innovations. IT teams are often constrained by shrinking budgets, tasked with managing multiple projects, and focused on tactical issues. Little time is left to devote to strategic initiatives. Our virtual CIOs have the unique ability to formulate technology strategy that aligns perfectly with the needs of your business. We assist organizations of all sizes, fulfilling many roles. Some need IT consultants to provide oversight of key initiatives. While others need interim CIOs to lead their IT organization during times of transition. We thrive as consultants working remotely or as on-site, full-time Chief Information Officers reporting to the C-Suite. Our vCIOs quickly assimilate information about your business, assess your technology footprint, evaluate compliance and security, and work diligently to mitigate any risks. We then guide you in establishing or furthering your vision for IT. Our value proposition extends beyond the obvious monetary savings of hiring a part-time adviser/IT consultant versus paying the salary and benefits of a CIO. vCIOs employed by Cochran-Platt Solutions hold Masters of Business Administration (MBA) degrees, have decades of experience in technology, and understand the importance IT plays in supporting the business. We use this knowledge to craft strategic plans that will position your business for success in today's ultra-competitive digital economy. From startups to multi-billion dollar global organizations, our consultants have the experience to help you succeed. Contact us today to begin your IT transformation. 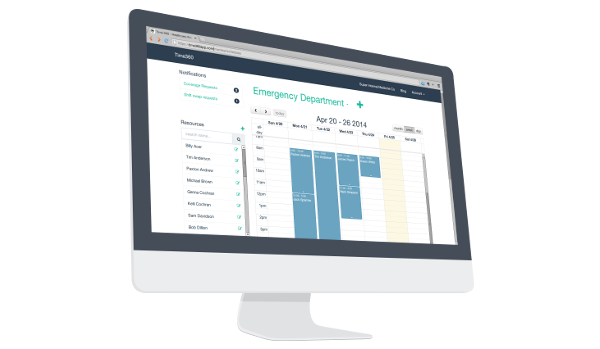 The solution to staff schedule management for healthcare providers.